I got my March Julep Maven Box!! 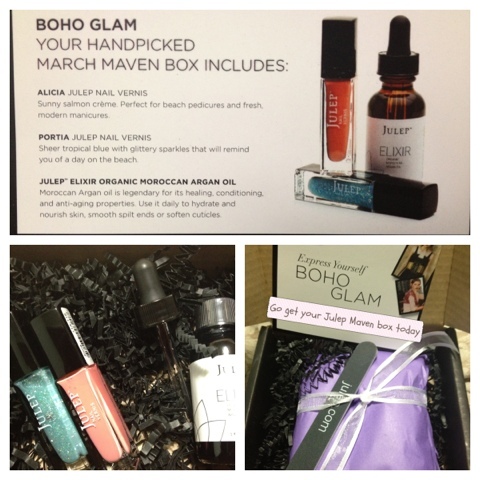 I have received my March Boho Glam Box from Julep Maven! So you all know, I was super excited right. I tracked down my box(lol), and made sure it was sitting patiently waiting for me. Julep Elixir Organic Moroccan Oil, which contains healing, conditioning, and anti-aging properties. This product can be used daily to hydrate and nourish skin, smooth split ends, and soften cuticles. 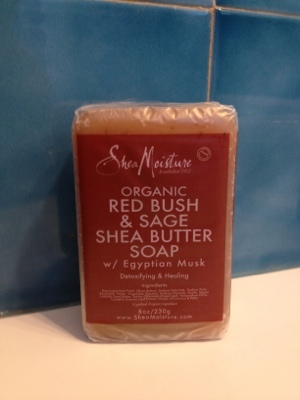 It is easily absorbed and lightweight, and is gentle enough for all skin types,including acne prone. I can’t wait to use this product! I have heard about many of the benefits and in my opinion,I think it should be a staple product to through in your handbag for everyday use. It is equipped with a dropper for easier use which I find awesome. The oil is also definitely lightweight, I tried it and it didn’t weigh my skin down, neither did it have any smell. Alicia Julep Nail Vernis is a sunny salmon creme. It is perfect pedicures and fresh, modern manicures. When I saw this I immediately though salmon. Definitely one of those bright summer months colors. Portia Julep Nail Vernis is a sheer tropical blue with glittery sparkles that will remind you of a day on the beach. Okay so this is my favorite out of the two, I think I’m secretly addicted to glittery nail polish! It totally reminded me of the blue ocean water with the sun beaming down on it. Ah, the joys of Caribbean islands. (Ok back to NYC brisk air) this color I will fall in love with! The sweet people over atJulep Maven also threw in a emery board. Although, I was looking forward to another Julep chocolate, this was awesome. Hopefully, I will start learning to do designs with my Julep Maven Stuff. So be sure to head over to Julep.com and get your customized Box, or even purchase a any specific item that you might like.